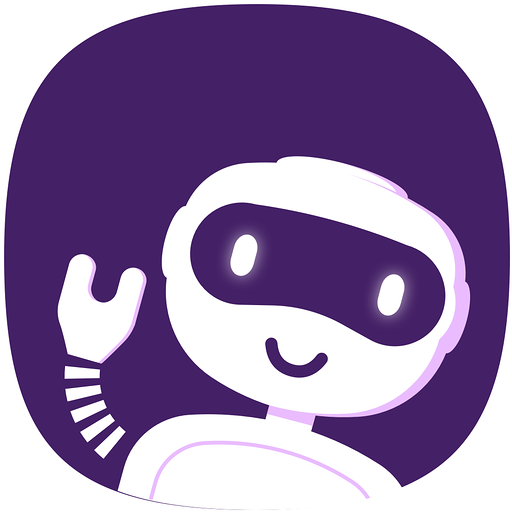 Report this app to Slack for inappropriate content or behavior. “Not only do I love not having to spend time and energy understanding how to use a productivity tool, I love how every member of my team doesn't have to battle the simplicity either. 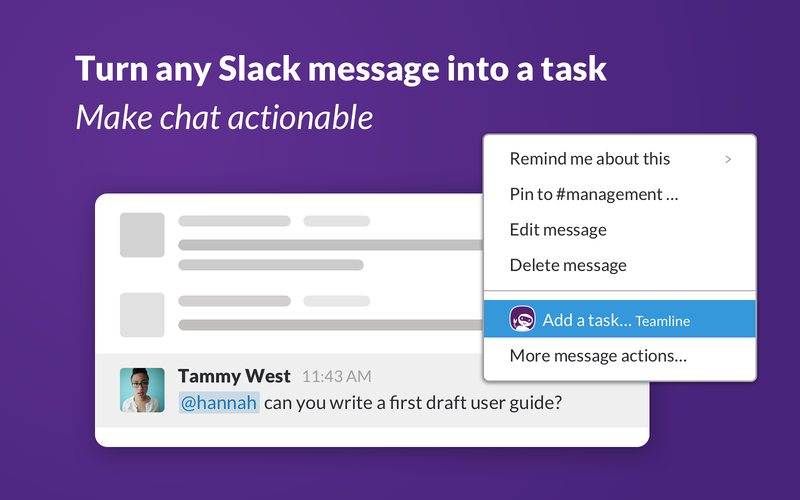 “I really enjoy the ability to keep and track all tasks within slack and within the page. 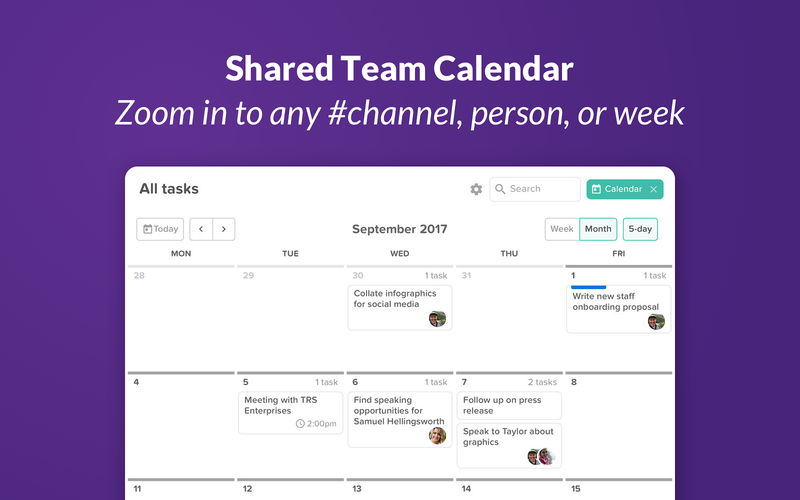 We have migrated all of our current IMs, task and project tracking from Skype, Basecamp and Jira to using Slack and [Teamline], along with Google Drive for document storage. Really enjoying the consolidation and team collaboration capabilities. “We learned how to use it pretty much instantly and it felt like the tool was made for us. We began to find ways of structuring our personal and professional tasks, […] and suddenly, our life was finally organized. 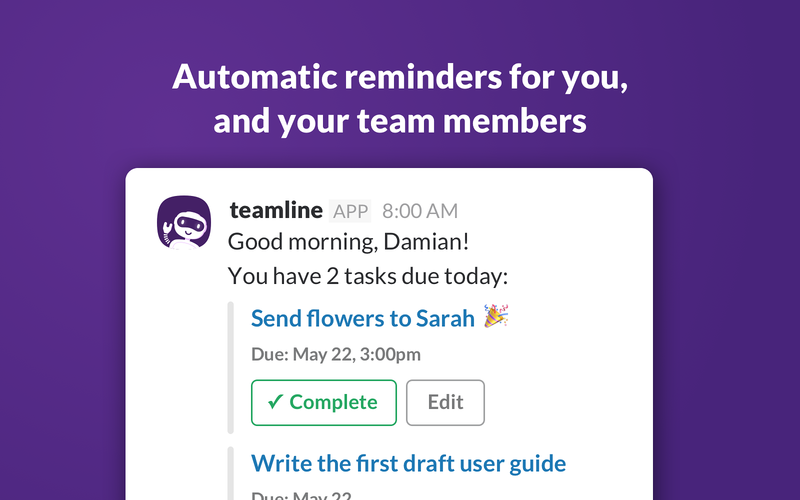 Teamline will be able to access basic information about your private channels (including names, topics, purposes, creation date, and latest message). Teamline will be able to modify information about your private channels, including name and purpose, as well as archive and create new ones. Teamline will be able to modify information about your public channels, including name and purpose, as well as archive and create new ones. 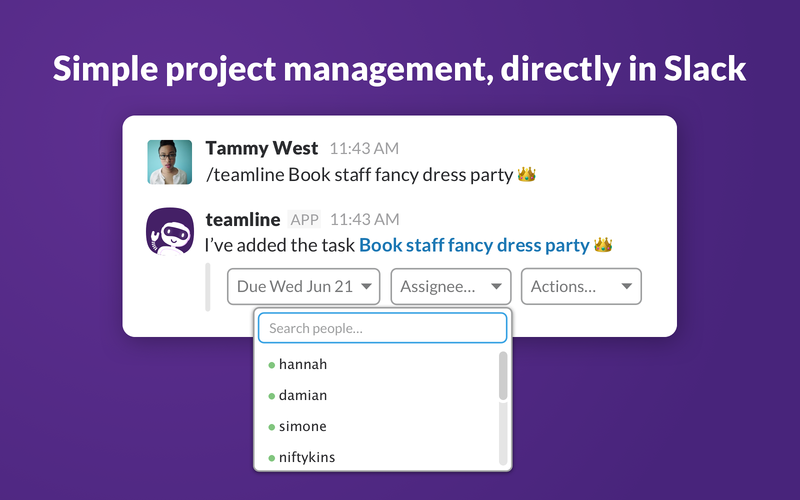 Teamline will be able to view the email addresses of your Slack workspace’s members. 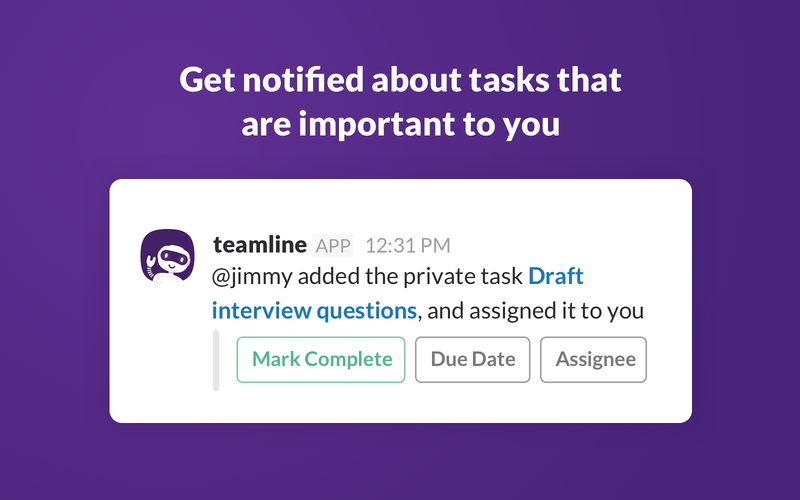 Teamline will be able to install a bot user that appears in and has access to your workspace’s directory. It can also post messages and view activity on messages in any channel it is invited to. Teamline will be able to access emoji reactions on your workspace along with associated messages, files (including contents and information such as who uploaded it, when it was uploaded, and sharing history), and who added the 'reaction'. Teamline will be able to access profile information for all users on your workspace, including names and contact information. Slack conducts a brief review of apps in our App Directory and does not endorse or certify these apps.